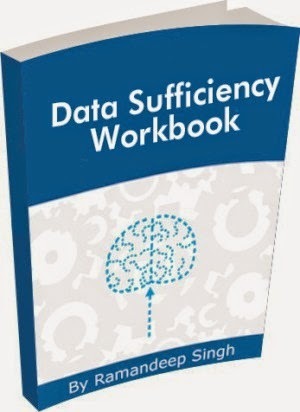 In a series of sharing useful study material today I am sharing one important ebook for Data Sufficiency section. There are 60 question sets with detailed solutions. Hope all of you will like this book. Give me your feedback in the comments. sir prathma bank (rrb) se vacancy aya hai. sir,i did not download my last rrb assistant score card(qualified),is there any problem,if yes suggest what should i do now? Sir.. Plz provide ibps clerk model question paper set..
Maine try kiye bt bta raha last date of result is over. Ab kya kru koi way jisse score card fir se mil jaye. Kya e koi prblm create krega intrvw time pr. Sir i am CS but i do not have membership yet. Am i eligible? Sir, I am also CS and M.com (with distance learning) Am i eligible? As no where there is mentioned in notification that membership of CS or M.com on regular basis required. Only A Qualified CS is written and I am a qualified CS only membership is awaiting and may be it will be allotted to me after 31st Dec..
Sir I have M.Com in banking and insurance also but its from distance education from annamalai university. Will I become eligible on this basis?